When a business case is required, the first Task in those process is to prepare the business case. Base the business case on the requirements document, existing process maps (if available), and the ROI (return on investment) calculator. Preparation of the business case should be done by the Business Analyst with the assistance of the Budget Analyst. Once the business case has been prepared, a business case review needs to be conducted by the Business Analyst with the assistance of the Working Group and Management. 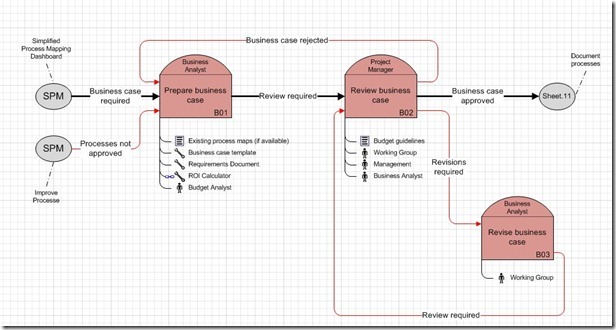 If the business case is rejected it goes back to preparing the business case. 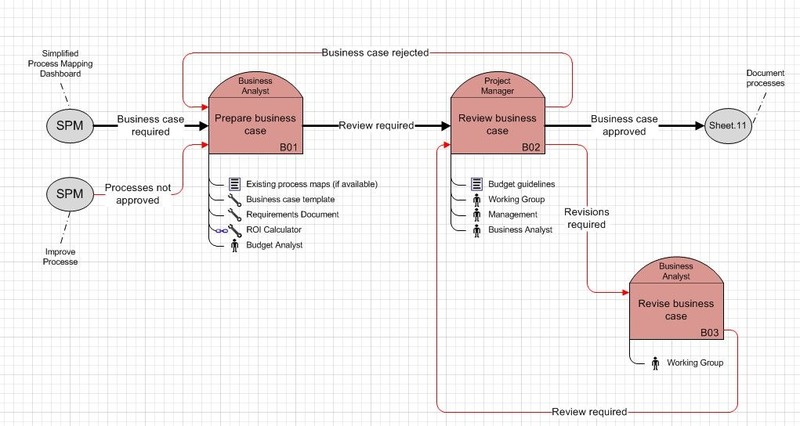 If the business case review determines that revisions are required; the Business Analyst and the Working Group revise the business case and then send it back for review.